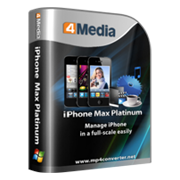 4Media iPhone Max Platinum is your ideal iPhone manager to help youbackup all iPhone contents to computer or iTunes, copy and convert CD music/DVD movies/Video/Audio for playback on iPhone, download online videos and convert to compatible files for enjoyment in iPhone,make your very own ringtones from music or audio track from videos, create and edit photo albums, etc. Manage iPhone as a portable hard disk with 4Media iPhone Max Platinum installed, it can also help you to create, edit or delete playlists, read and export photos and videos shot by iPhone, manage several devices at one time, preview Home DVD movies/videos in the built-in player, have a free surfing on the most popular online websites and more to explore by yourself! Totally support all iPhone, iPad, iPod, iPod touch models, iTunes 12 and iOS 8. Engine with NVIDIA CUDA technology, transferring and converting processes are never so fast, have an amazing experience with 4Media iPhone Max Platinum now! Designed for users who need to transfer iPhone content to Windows PC without iTunes, including music, movies, photos, books, ringtones. You can also backup your iPhone to iTunes. 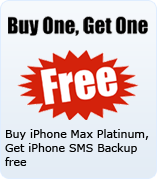 4Media iPhone Max Platinum also enables you to export and transfer local music, movies, photos, SMS messages (html and txt format) books in PDF or EPUB format, ringtones to iPhone just like iTunes does. 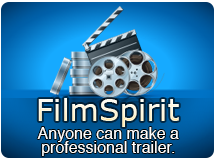 Convert and export almost all popular video and audio formats to iPhone, including M2TS, MTS, AVI, MPEG, WMV, DAT, TS, MPV, NSV, MOV, QT, H261, H264, WMA, AAC, AIF, AIFF, AC3. The advanced CD/DVD decryption utility can convert any CD/DVD to music/movies to play on iPhone, you can also convert ISO image file or IFO folder to audio/video files compatible with iPhone. Powerful video downloader and converter of 4Media iPhone Max Platinum can grasp online videos of popular video broadcasting websites in one-step and move to the devices directly. With this best manager for iPhone, you can create and personalize iPhone ringtones with any audio/video you like. Transfer application between PC and iPad, also support to manage some applications' documents. Fully support all iPhone/iPod/iPod touch models: iPad, iPad 2, iPad 3, iPad 4, iPad mini, iPad mini 2, iPad mini 3, iPad mini 4, iPad Air, iPad Air 2, iPad Pro (12.9/9.7/10.5 inch), iPod, nano (5th Gen), iPod mini, iPod shuffle, iPod classic, iPod touch, iPod touch 4, iPod touch 5, iPod touch 6, iPhone, iPhone 3G/3GS, iPhone 4, iPhone 5/5S/5C/SE, iPhone 6/6 Plus, iPhone 6S/6S Plus, iPhone 7/7 Plus, iPhone 8/8 Plus, iPhone X, iPhone XS, iPhone XS Max, iPhone XR. Support iOS 12 and iTunes 12 as well. Engined with NVIDIA GPU acceleration technology, the transferring, downloading and converting processes are accelerated to the fastest speed. Create and edit photo albums from images shot by iPhone easily. Now you can copy photos from photostream. Don't bother for searching your data connection cable in case it is misplaced 4Media iPhone Max Platinum supports data transfer via Wi-Fi. Support connecting multiple devices simultaneously to complete file transfer between them. Create, edit or delete iPhone playlists with ease; classify files by genre, artiest and album. You can get a nice interface and a clear instruction so as to make the whole conversion and transfer easy and fun!